Oymyakon is a Russian rural locality (a selo) in Oymyakonsky District of the Sakha Republic, Russia, located along the Indigirka River, 30 kilometers northwest of Tomtor on theKolyma Highway. Oymyakon is one of the coldest permanently inhabited locales on the planet. It is named after the Oymyakon River, whose name reportedly comes from the Even word kheium, meaning “unfrozen patch of water; place where fish spend the winter.However, another source states that the Even word (kheium may be a misspelling) means “frozen lake”. 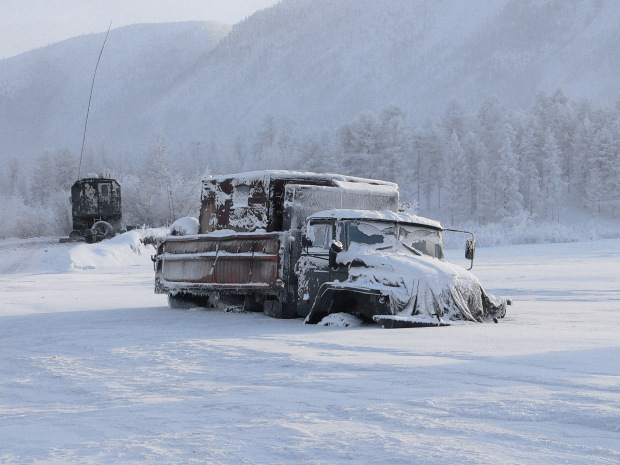 Oymyakon, population 500, is in eastern Yakutia at approximately 750 meters above sea level. At the village’s northerly position, day length varies from three hours in December to 21 hours in June. First are there outside any animals at such a cold temperature? 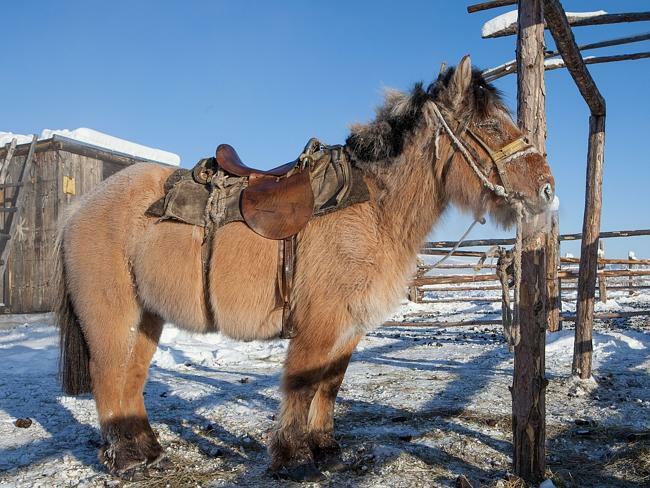 If you mean domestic animals, in Oymyakon some keep watchdogs outside so to protect the private territory. In this case dogs stay in warm kennels with felt layers. If farm animals like cattles and poultries, they are kept in a special barns. If wild, hunters say they may meet elks, deer, raindeer, hares. Bears, as you know, sleep in the winter. )-And how many tourists or non-inhabitants? A dozen of tourists per month, perhaps. )-How can you travel on long distances? Are the roads usable for cars? Locals prefer to travel by cars. Cheap, you know. Round trip by plane may costs 400-500 USD depending on distance. )-Are there functioning mobil phone service? Only in cities and the administrative centers of republic’s regions.